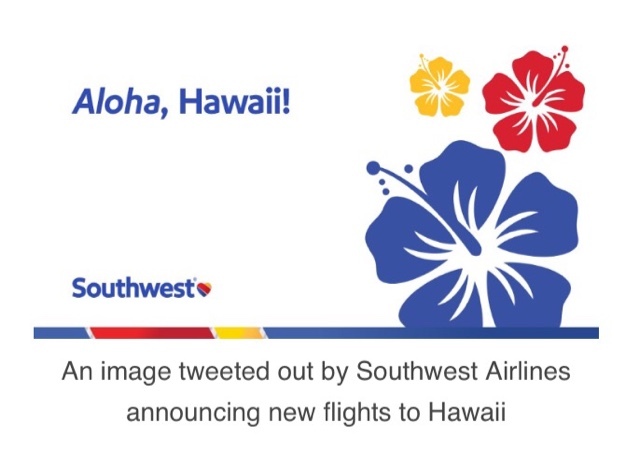 Southwest Airline has announced that it will begin airline service to Hawaii. Tickets will go on sale in 2018 although the exact airports across Hawaii as well as the mainland airports have not been announced. According to the Department of Transportation, once Southwest enters a particular market the number of flights increases and the fares typically decrease. 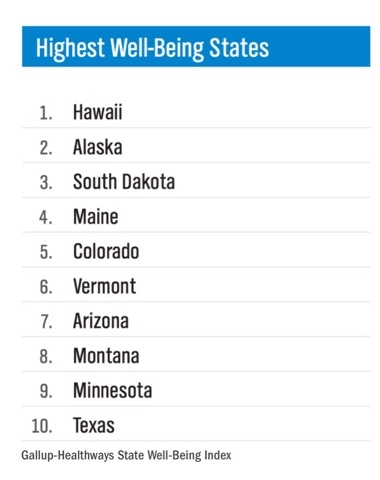 Fingered crossed as this may be promising news for travelers to and from Hawaii. 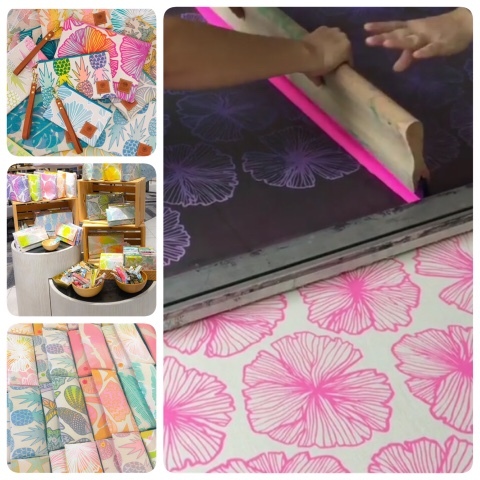 Screen printed by hand, each wallet, purse and bag is uniquely crafted by Jana Lam and her team. The material is thick and sturdy and the purse and wristlet straps of tanned leather. Jana is relocating her studio from her family's ocean front home off of the Kalanianaole Hwy to the gentrified Kakaoko district, a great space in a neighborhood with an artsy vibe. To celebrate the move she is offering 30% off the entire Jana Lam Sun Collection with an extra 10% discount off all other items online. Use discount code: THEMOVE. Next Saturday, October 14 she will be hosting a farewell party and studio sale. ROC (Real Office Center) is a shared work space concept that allows entrepreneurs to work, mingle and collaborate with new friends on business ventures in one setting. 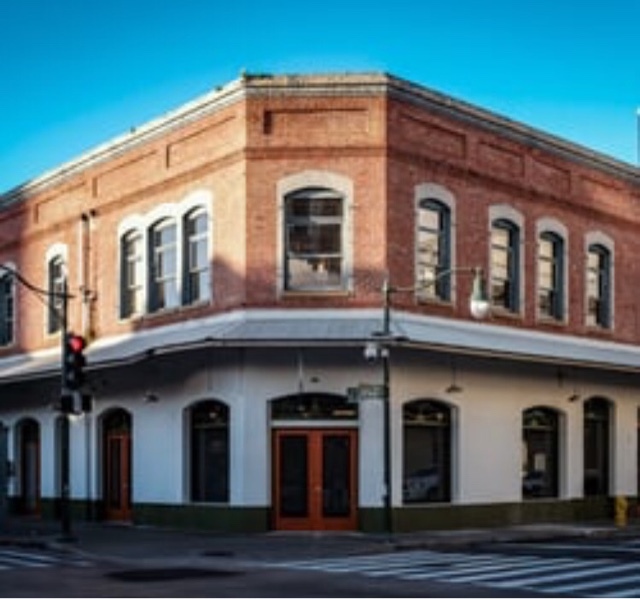 Located at the old saloon building in Honolulu's gentrifying Chinatown, ROC rents out work space cubicles ($75+/month) which includes a physical mailing address, receptionist services, access to a meeting room which holds 10 ppl, and on going social events. Parking is out of pocket at Marks or at the local city lots. The work space sits above a couple of my favorite Honolulu eateries including Lady and the Pig. The location is close enough to downtown yet offers a more eclectic artsy vibe for the creative entrepreneur. Those interested in collaborative projects would benefit most from the shared work space. Heather Brown clutches spotted on the North Shore the Polu Gallery in Hale'iwa. Come here for a range of portable take home art. Polu specializes in block print pieces from local artists with originals in the $300 range to signed 8x10 copies for $40 each. Too bad they charge you extra to bubble wrap the 8x10 prints as well as the more expensive originals. 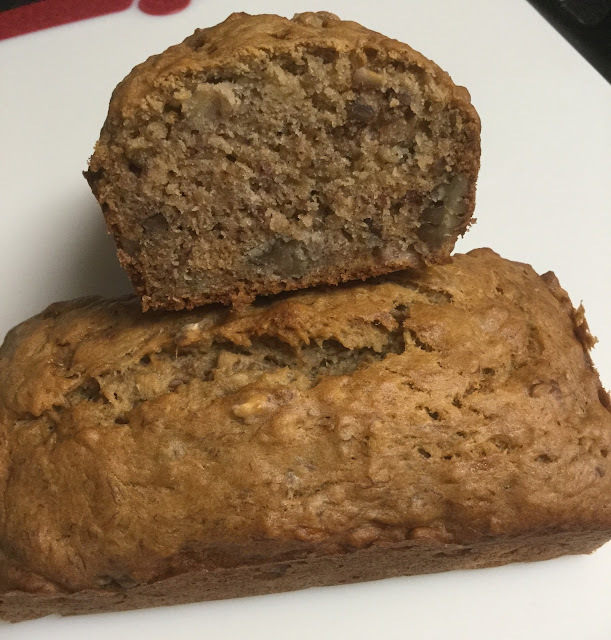 This banana nut bread recipe is crispy around the edges, more moist and dense than the other banana bread recipe I posted. Some like it light and fluffy, some dense and moist. Preheat oven to 350F. In a large plastic bowl whisk flour, baking soda and salt. (Optional: Add a dash of cinnamon). Set aside. In glass mixer bowl cream butter and brown sugar. Add beaten eggs with a spatula. Set aside. Mash bananas in small plastic bowl. (To ripen banana microwave in skin for 45 seconds using a fork to puncture the skin for air vents). Add bananas to wet mixture with a spatula. Fold wet mixture into flour mixture. Add chopped pecans. Stir until moist, do not over mix. Bake all 4 loaf pans simultaneously for 35-40 minutes (or 60 min if one large 9x5 loaf pan). Cool for 10 minutes then release from pans and set on wire rack. Last chance to eat at Ono's until it closes its doors forever. To the disappointment of many, this popular local food joint will close this week Saturday. 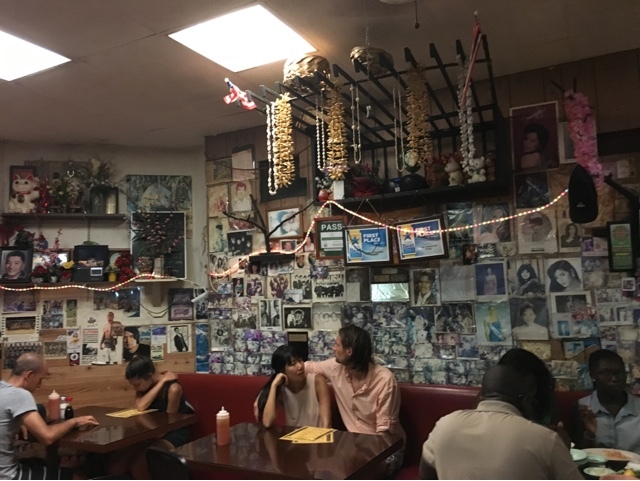 Known for its down home local food cooking and rich flavors, just one look on the walls and one appreciates all the years and people this restaurant has served. Rent is going up again (they sign 5 year leases), and the restaurant owners say it's not worth taking out a $100,000 loan to update the kitchen to bring it to the building owners' standards. The owners and workers are too old to put in that much money and to keep the business going, she tells me. For the past two weeks the lines have been out the door with a wait time of over an hour. No phone orders are taken since they are swamped. Don't even try calling, they will not even pick up the phone. Lau Lau is only served when you dine in. Beef stew runs out before the days' end. I was thankful to get their deliciously smokey Kalua Pork to go on two nights and will miss this Kapahulu joint and a place that felt like home for so many. Thank you and goodbye Ono Hawaiian Food. 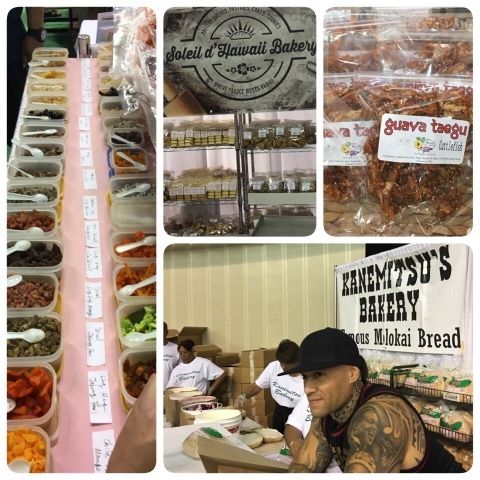 Top Picks of "Made in Hawaii 2017"
Some of my Top Ten favorite booths at the Made in Hawaii Festival are shown in the photos above. 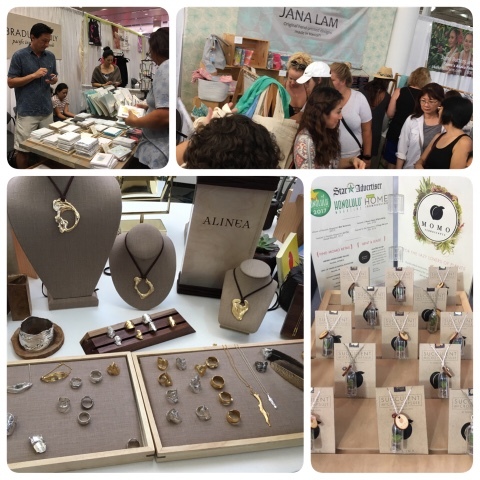 From the hand made purses of Jana Lam and the interesting metal jewelry of Alinea to the French-like baked goods of Soleil d'Hawaii, it's inspiring to see the new entrepreneurs from the islands gathered in one location. The line for tickets ($6) start at 9am, with the ticket box opening at 9:30 am. The parking line is very long ($6) so plan extra time for this. Once inside the building it's like herding cattle so arrive early or with a lot patience and extra time. Bring a bag/backpack for everything you buy; a couple booths sell hot lunches; samples are available at most food product booths. Have fun! 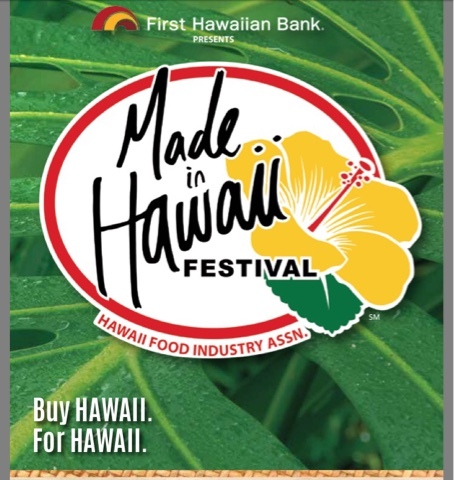 The Made in Hawaii festival starts tomorrow, Friday (10am to 9pm) through Sunday (10am to 5pm). 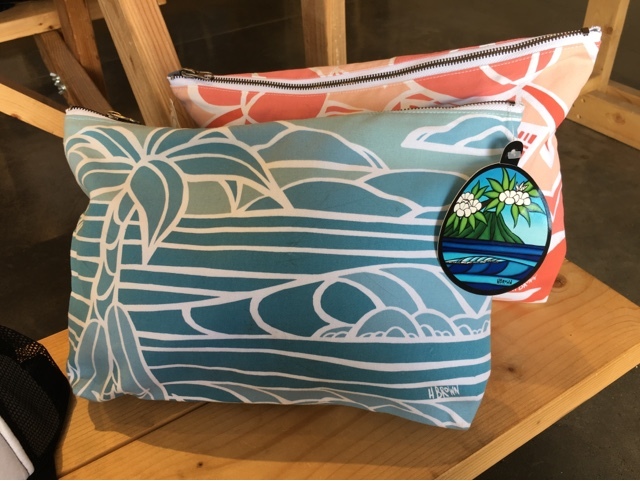 The festival first started with 60 booths and has grown to 450 booths featuring hand crafted items to commercially produced items made across the Hawaiian islands. 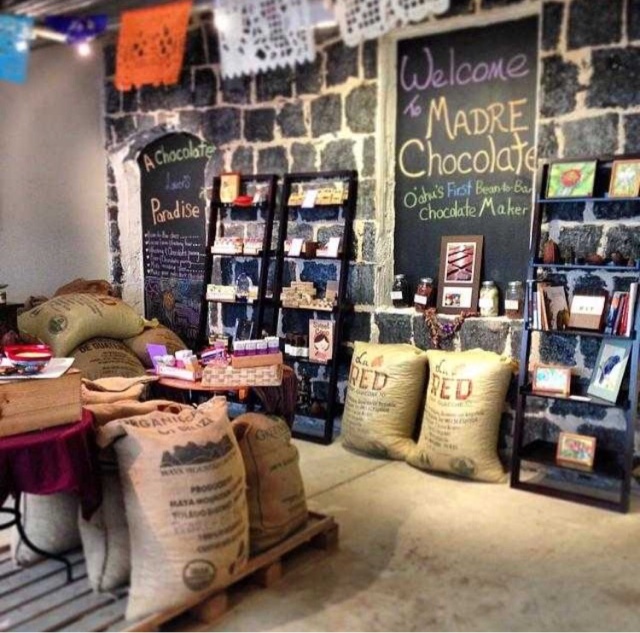 The festival hosts the largest event of its kind and one can expect food products, fashion and art items, books, and crafts for sale--a great place for Christmas gifts or just a way to support local businesses. 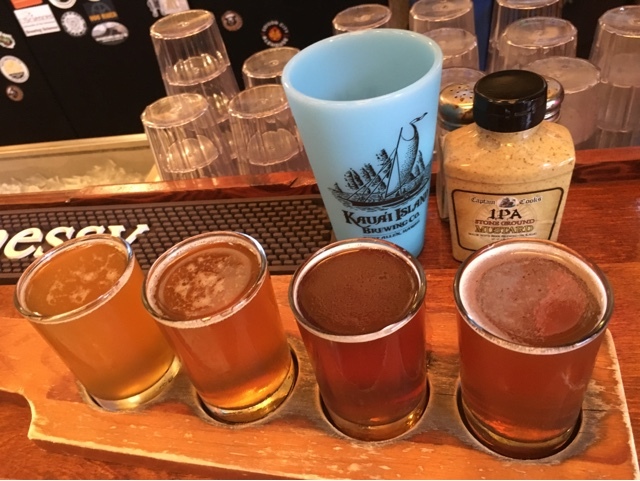 Kauai Island Brewery is the western most Brewery in the US. The beers are meh, just okay. The lilikoi and other flavored beers can hardly be recognized. The only reason to come is to grab some gear (tshirts and tanks for sale) and to grab a brew before heading to Glass Beach and Waimea Canyon. Happy hour starts at 3:30 and hosts a full bar including Belvine among others. daily services between Oakland and Kauai and Los Angeles and Kona. 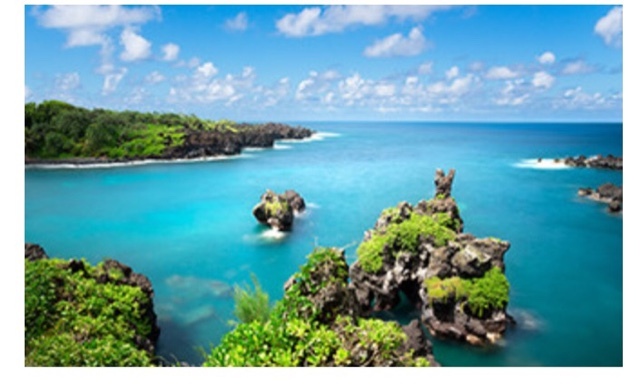 Getting to Hawaii from the West Coast just got easier. Introductory fares start at $487r/t. 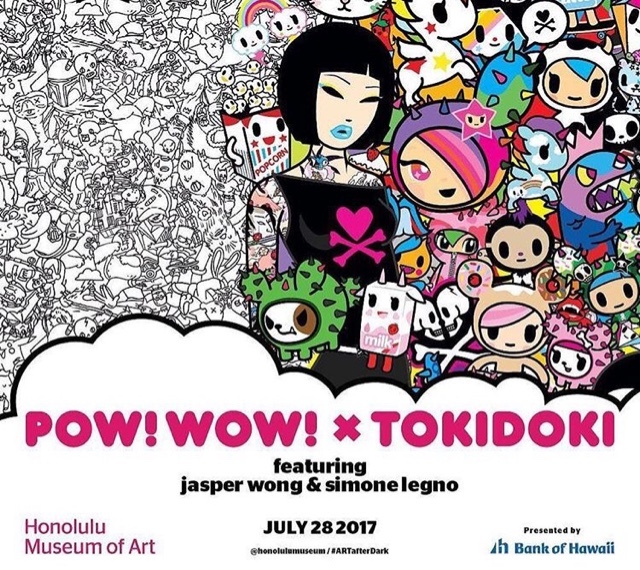 Meet Tokidoki co-founder Simone Legno and Pow!Wow! 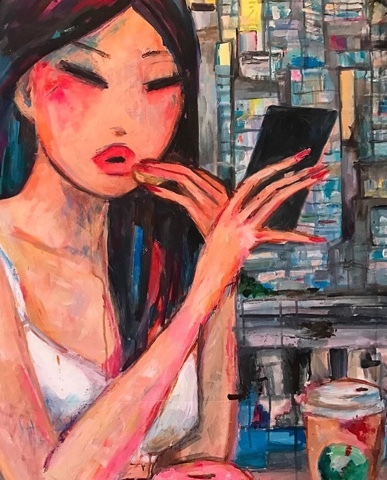 co-founder Jasper Wong along with J-pop spinning, food and drinks, and a fabulous art crowd at the Honolulu Museum of Art next Friday night, July 28th. $25 admission, museum members free. Celebrating its 80th year today in 13 flavors. Made spam musubi using teriyaki, bacon and jalapeño spam slices. Still like the original spam with a little sauce and Furikake. 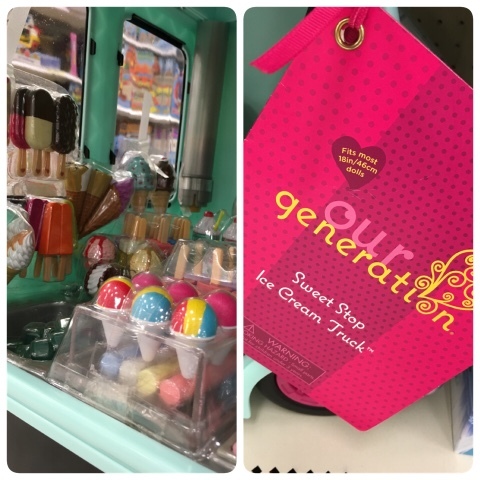 Curious about the different flavors? You can buy a 12 can variety pack ($75). 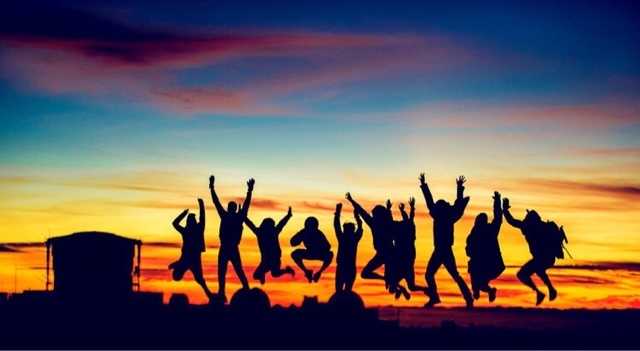 Summer has officially arrived so get ready for some fun summer time festivals in Hawaii. 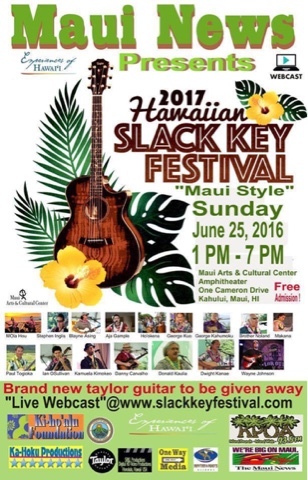 This Sunday the 26th annual Slack Key Guitar Festival hits Maui from 1-7pm. A strong line up of the islands' favorite slack key artists will delight audiences at the Maui Arts and Cultural Center outdoor amphitheater. Admission is free. Bring your low back lawn chairs and some cash for food and drinks (no outside refreshments allowed). The Fish Filet sandwich has a new Seafood buddy, the Lobster Roll, which has been a summertime success in the New England states. 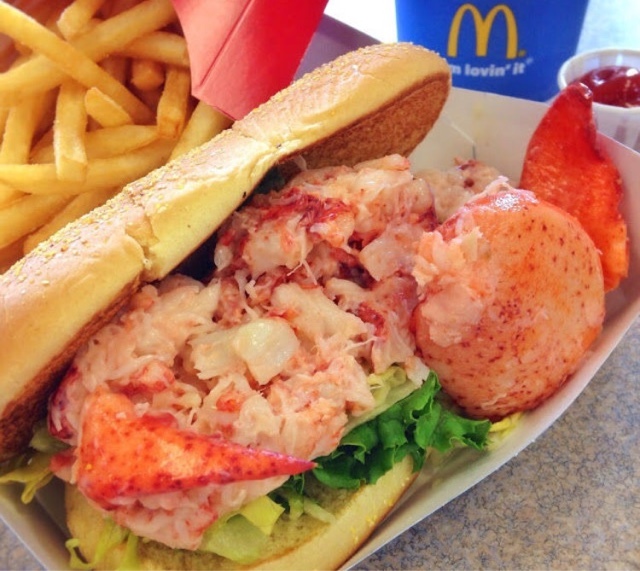 McDonalds claims it uses real lobster meat albeit frozen and thawed. 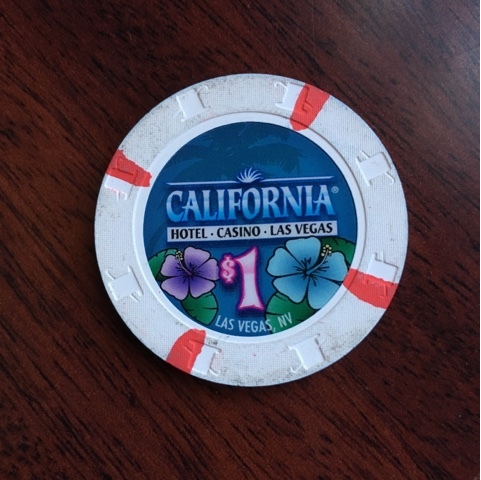 With its price at under $10 we can soon find out if the Roll lives up to its anticipated hype. Expect its arrival on Oahu this coming July 28th and keep your eyes out for the Roll on the other islands. 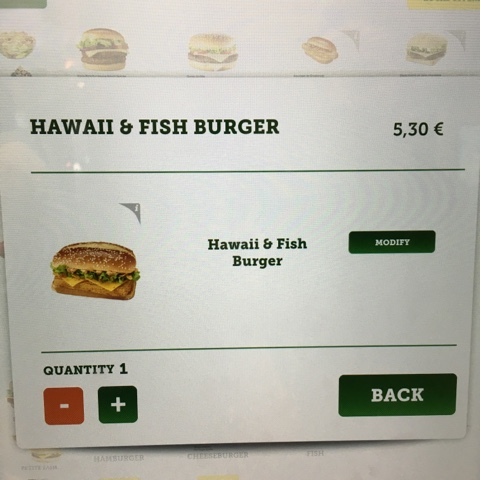 Somehow French sensibilities of "Hawaii" have made it into Parisian McDonald chains. 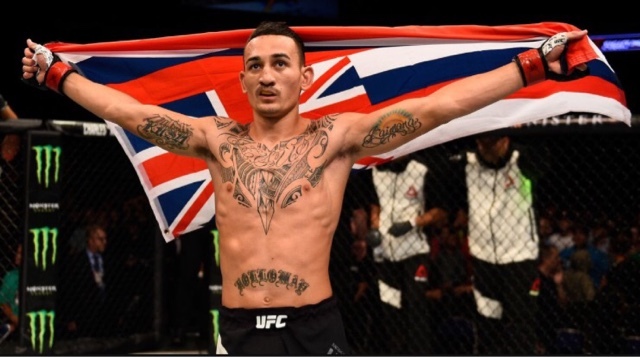 Congratulations to UFC Featherweight Championship Max ("Blessed") Holloway who beat José Aldo from Brazil at Saturday's fight. 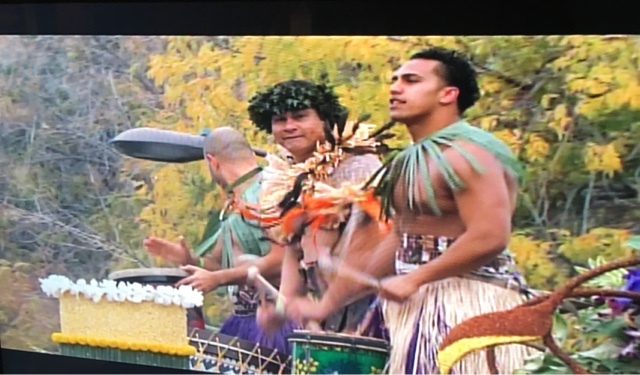 Holloway was greeted with screams, cheers and a warm aloha homecoming, leis and all, when he landed at HNL and returned to his hometown of Waianae. 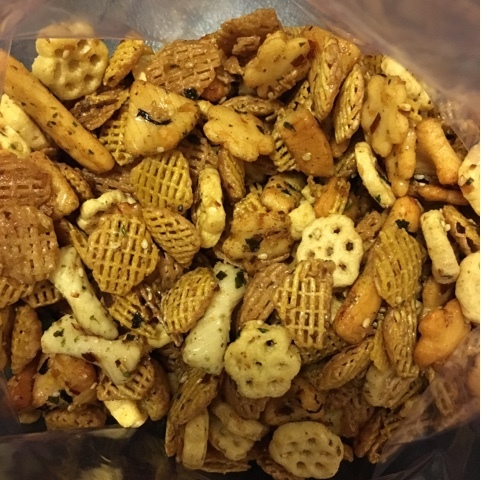 In large roasting pan stir Chex Mix, Honey Comb and Arare. In medium sauce pan melt butter, sugar, oil, corn syrup and shoyu over low heat until dissolved. Drizzle mixture over cereal mix, a little at a time and toss. 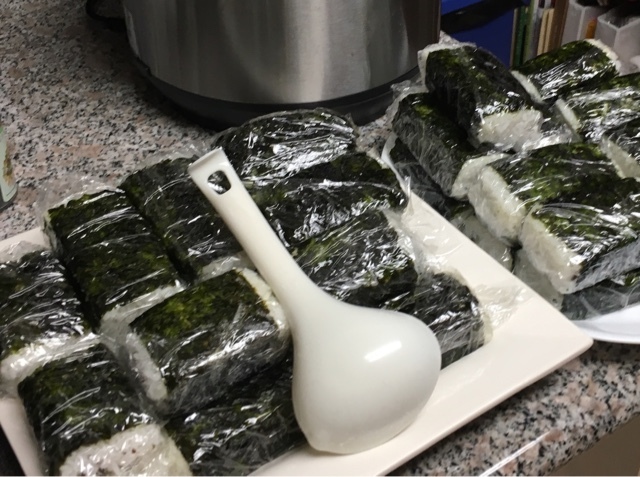 Sprinkle furikake from the glass bottle until evenly coated. Bake for one hour, tossing every 20 minutes; make sure the bottom doesn't burn. Cool for 5 minutes before serving. 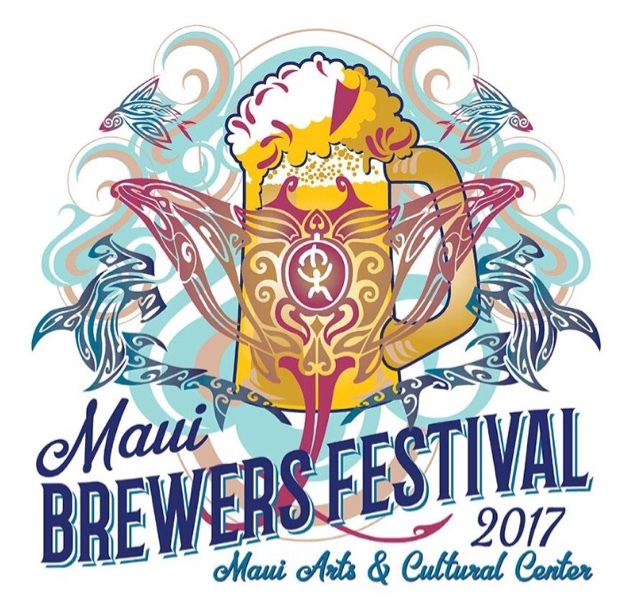 Serving beer from 40 breweries, 13 of which are from the Hawaiian islands. Each $45 ticket include live music performances, heavy pupus (from two dozen local restaurants) and two beer pours in a souvenir glass ($4 for each additional pour). When: This Saturday, 3:30-7pm at the Maui Arts and Cultural center. 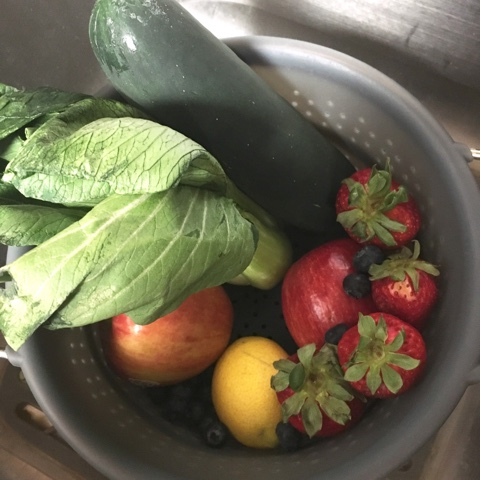 Stir, pour over ice (optional), and drink with a straw (to temper the acidity on your teeth and gums). Enjoy! Heat oven to 350 degrees. Grease muffin tins or add paper liners. In large bowl combine milk, olive oil, zest. With mixer running add this to the eggs mixture. In a medium bowl whisk flour, baking soda, baking powder, salt. With mixer running add dry ingredients. 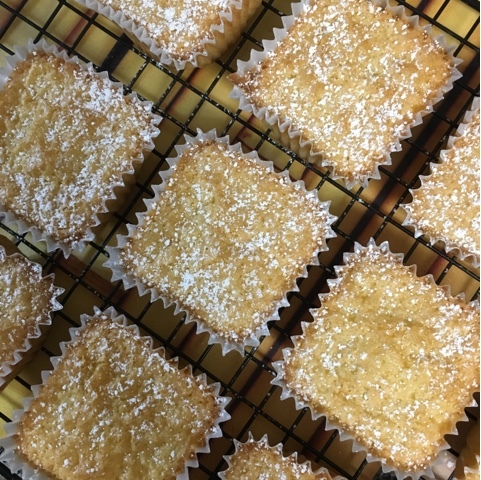 Pour 1/4 cup batter into each muffin tin and bake for 18-24 minutes (18 minutes without the paper liner). (Metal liners need 22 minutes and result in a bump as the cake rises). Cool on wire rack and sift powered sugar and sprinkle extra zest if desired. 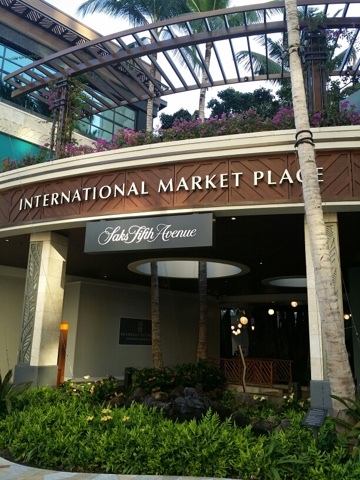 A peak at the newly renovated International Marketplace in Waikiki. 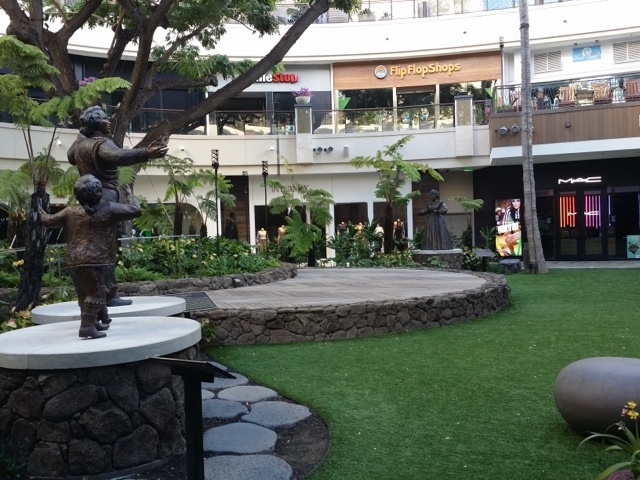 With the island's first Saks Fifth Avenue department store and boutiques like Trina Turk and MAC this plaza is sure to get plenty of foot traffic from the tourist strip. Shops on Kalakaua Avenue close at 11pm allowing tourists to surf and eat by day and shop by night. 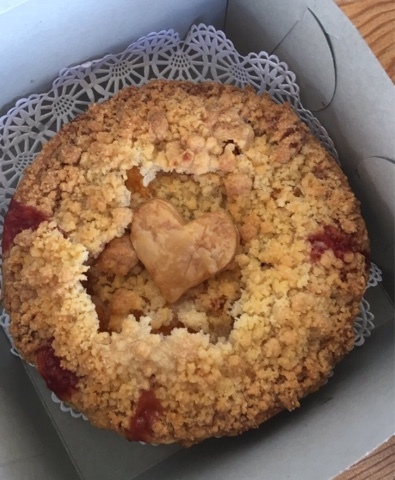 In honor of National Pi/e Day (03.14) I'm posting my favorite pie place on Maui as well as two new comers to the pie scene. I'm not the biggest pie person, but Leodas has ranked tops in the country by my books. Order the mini pies so you can get one of each. Keylime and the Choco Mac Nut are my faves, but Banana Creme is a local winner. (Grab their Ahi sandwich while you're there). 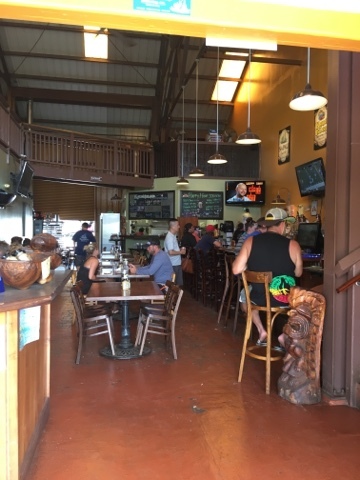 The location is easy to miss--look for Mile Marker 16 just prior to hitting Kaanapali in the small town of Olowalu (which you can miss in a blink...literally a blink of an eye). The 'downtown' consists of three shops, one of which is Leodas. The copycat of Leodas is Sugar Beach Shop. 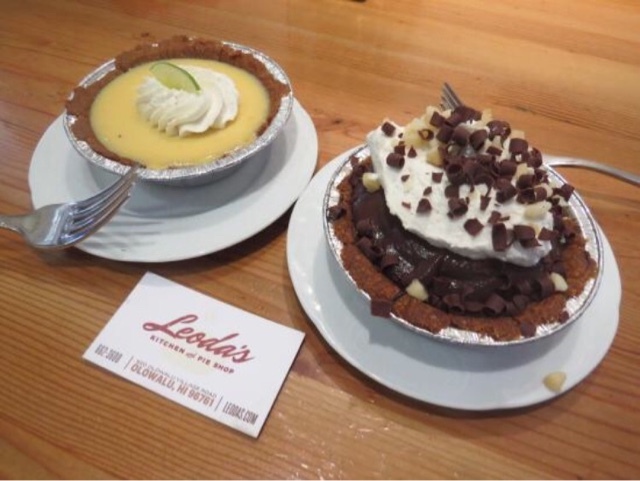 Their pie flavors and presentation looks pretty similar to Leodas, but they are located more conveniently to tourists and locals living in Kihei. 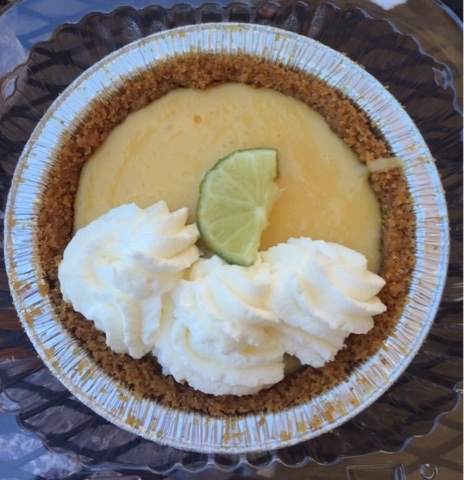 See the photo above of their Lilikoi Key Lime pie. 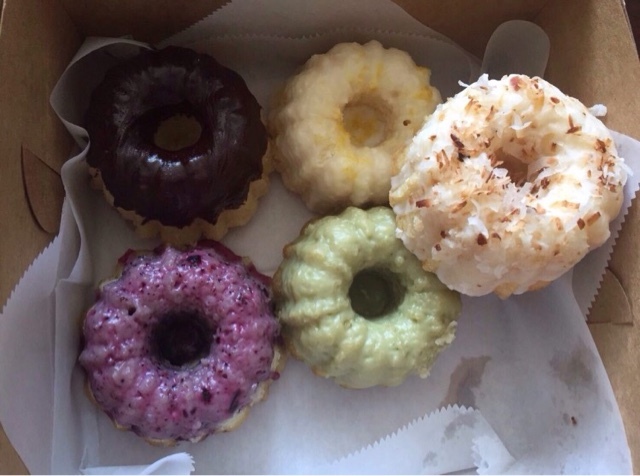 Maui Pie serves full sized and mini pies with their own recipes and styles. With near-perfect Yelp reviews I'm looking forward to visiting this Kihei joint. Call the U.S. Capitol by dialing (202) 224-3121 and enter your zip code to be connected to your state Senators (Press 1) or House of Representatives (Press 2). B) Succinctly note the issue you are addressing, what your concern is, and what you would to see done. Thank your Congressperson. Give a little love this Valentines Day. Stuck for gift ideas? 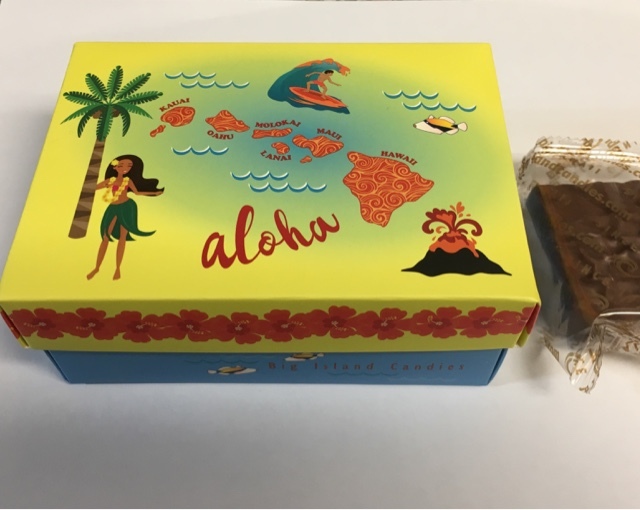 Check out Big Island Candies for gift baskets filled with their popular Mac nut shortbread cookies--these guys are the OG, the originators prior to the Honolulu Cookie Company. Big Island Candies has a store in the Ala Moana shopping center (bottom floor near the escalators) and check out the company's flagship store on the Big Island. Happy V Day! Looking for a Lunar New Year gift? 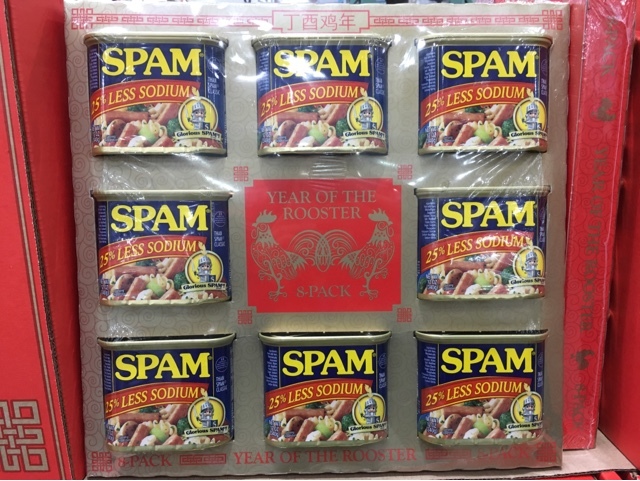 How about this Spam Gift Set to welcome in the Year of the Rooster? Every household in Hawaii can use a can of Spam. (Sets sold at Costco. 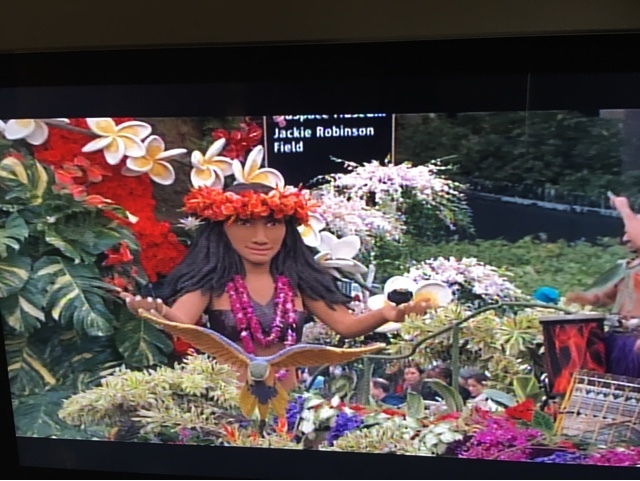 )And don't forget the Waikiki Spam Jam is coming up on Oahu this April 29, 2017..and Maui's Lahaina Chinese New Year festival in February 3rd. Hawaii Sand Festival in Hanalei, Kauai on the beach left of the Hanalei pier. 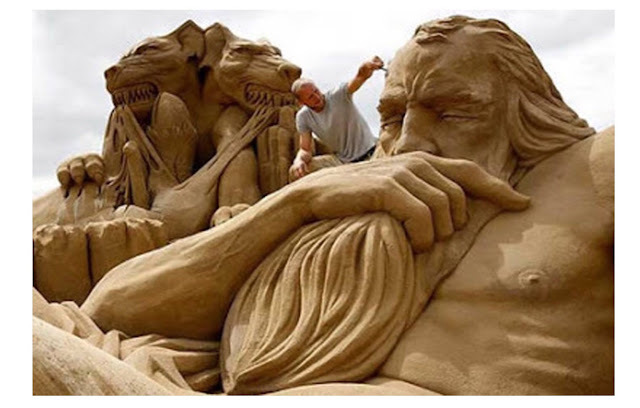 Professional sand sculptures will create surreal sand sculptures but the contest and beach is open to all participants of all ages and levels. The festival is held on the second weekend of August. Bring your own beach buckets and shovels! 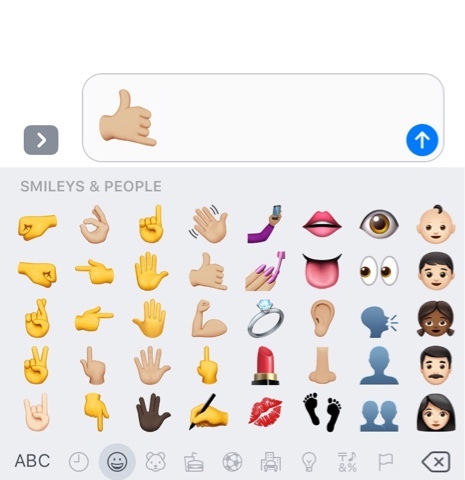 Shaka emoji comes to the new iPhone update 🤙🏼! 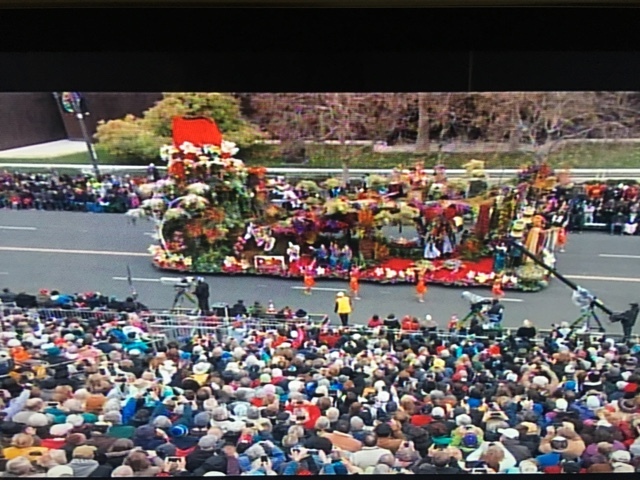 King Kamehameha stands tall in this beautiful Rose Parade float sponsored by the Dole company. Quick, easy and tasty crab dip perfect for sports game day and potlucks. Preheat oven to 350 degrees. 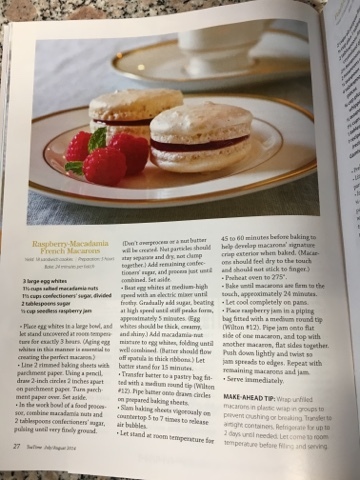 Combine all of the ingredients and spread into a 1 quart baking dish (I use an oval Le Cruset with lid used for transporting.) Bake for 20 minutes, uncovered. That's it. Super easy. Serve with bread pieces, multigrain crackers, salt crackers. Popular with locals, The Cal has been upgraded with hibiscus printed carpet, a new bar (still in progress), brighter LED lighting, a modern decor steak house, noodle house, and updated hotel lobby. The dealers still dress in aloha shirts, and the oxtail soup at The Marketplace is still a yum-worthy classic on the menu (plus check out the daily specials like the Saturday Lau Lau plate which runs from 11am to 11pm). And don't forget to stop by the ABC Store across the street with Vegas styled lights located on the popular Fremont Street Experience. A parking pass will be needed beginning Feb 1, 2017 to see the sunrise at Haleakala. The cost is $1.50 and reservations can be made at recreation.gov in addition to the $20 that it already costs for each car to enter the national park. The ticket website launched a few days ago, and travelers can buy parking passes up to 60 days in advance. The parking pass is good for three days between 3-7am, the most popular hours to arrive to hike and/or see the sunrise. Cars arriving after 7am do not need a parking pass; while you will miss the sunrise you can still hike and see the volcanic crater. 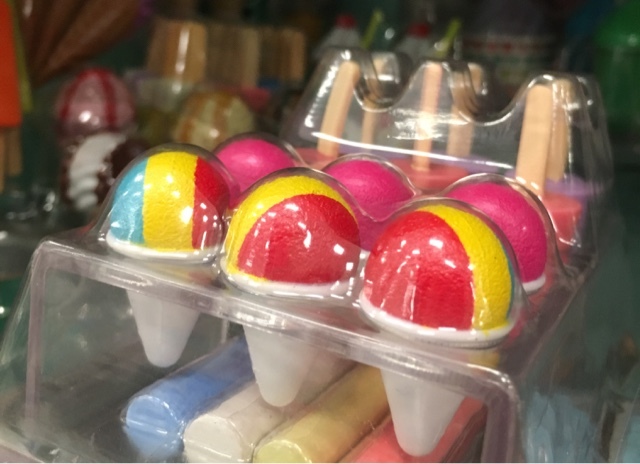 All I want for Christmas is...rainbow shave ice for my doll set. If I were a kid I'd want this truck just for the Matsumoto looking pieces. (Spotted at Toys r Us). Honolulu City Lights is a display of brightly lit palm trees and larger than life holiday decor including Santa, some arctic penguin friends and a beaming Christmas tree. Inside the buildings you'll find holiday arts and crafts projects made by local elementary school students--ginger bread houses, holiday displays and decor. Even if locals see the same outdoor display year after year, it still brings a smile to everyone's face as we ring in the Christmas season. 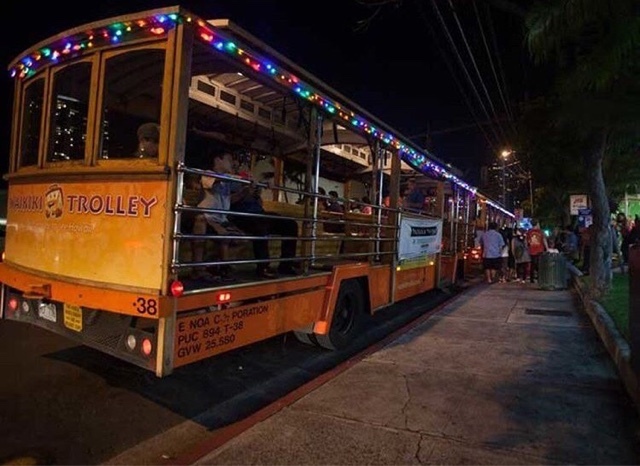 This ceremonial opening is Dec 2, but tickets for the Trolley Tour from Ward Center goes on sale tomorrow. 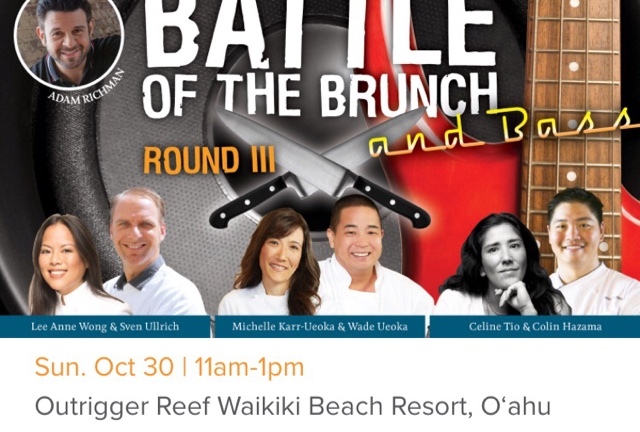 Going on now in Waikiki and Ko'olina. Silent auction online, event tickets must be pre purchased. Enjoy the best of the island through your gastronomical sense. Louisiana meets Maui at Fat Daddy's in Kihei. Called the best BBQ in Hawaii, folks like the 12 hour smoked brisket and the cornbread made with cream corn. 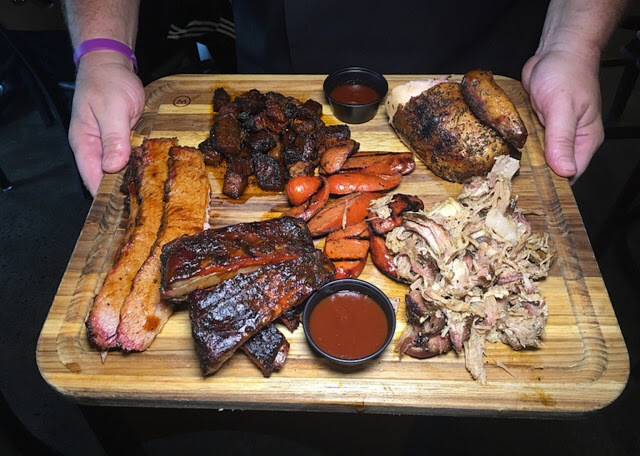 I've driven by so many times but typically don't think of eating BBQ on Maui, but next time I'll think twice and stop by. 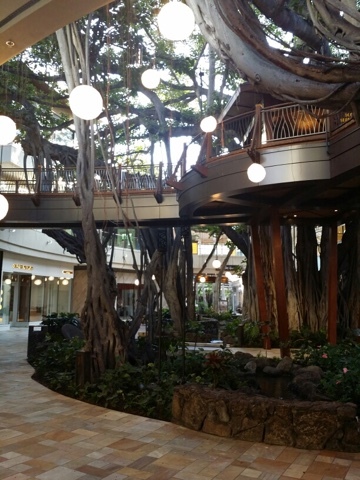 The islands' first Saks Fifth Avenue opened at the newly renovated International Marketplace in Waikiki. I thought Saks would never come to Hawaii since Neiman Marcus catered well to this limited clientele base, but the Waikiki strip generates such high revenue from the estimated 80k daily visitors walking down Kalakaua Avenue that the chain couldn't resist. 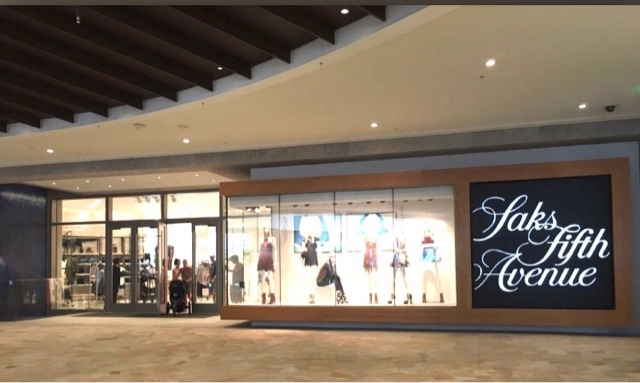 Saks plans to open a second shop in the Ala Moana shopping center (in the former Nordstrom location), but let's see how the Waikiki location does first--reports of an empty store (no customers) and poor customer service by its sales people don't bode well for this department store's future. There's a new baby pig coming this Friday. 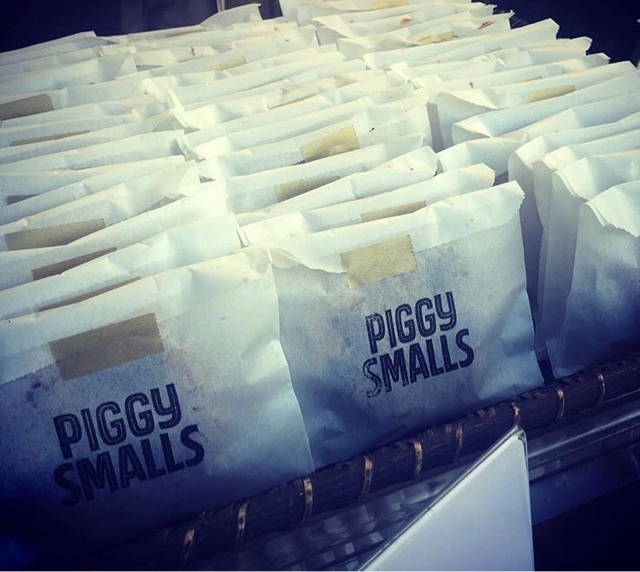 Honolulu's successful food truck turn brick-and-mortar, Pig and the Lady, is opening their second joint, Piggy Smalls in the Kaka'ako arts district. Chef Brandon Lee will be at the helm of the new kitchen specializing in fusion comfort food--from pho spiced pastrami sandwiches to potato beignets, the touches of Vietnamese and French influences remain reminiscent of its flagship. 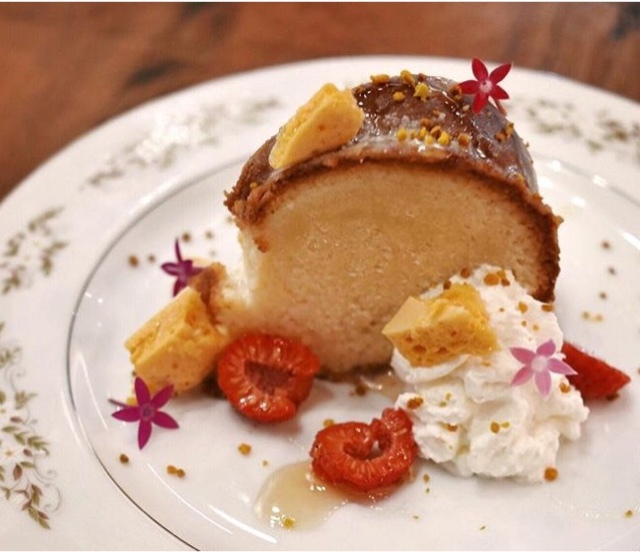 You can bet there'll be a line of foodies at the door this weekend. In Kaimuki town on Waialea, $1 malasadas and Cake Bombs that look moist and yummy. I'll have to stop by soon.